Almost five years after the release of their last collaborative project, Aussie husband and wife team Kasey Chambers and Shane Nicholson are to come together again for a brand new album entitled ‘Wreck & Ruin’. “Having been almost five years since we made ‘Rattlin’ Bones’, we thought it was time to tempt fate and challenge our marriage by making another album together,” the pair said in a statement announcing the new album. The new LP is set to feature 13 new songs, including the lead single ‘Adam And Eve’, which will preceded the album’s release and see the light of day digitally on Monday July 23. 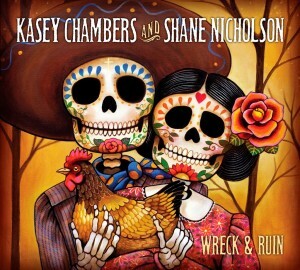 ‘Wreck & Ruin’ will hit the stores on Friday September 07.